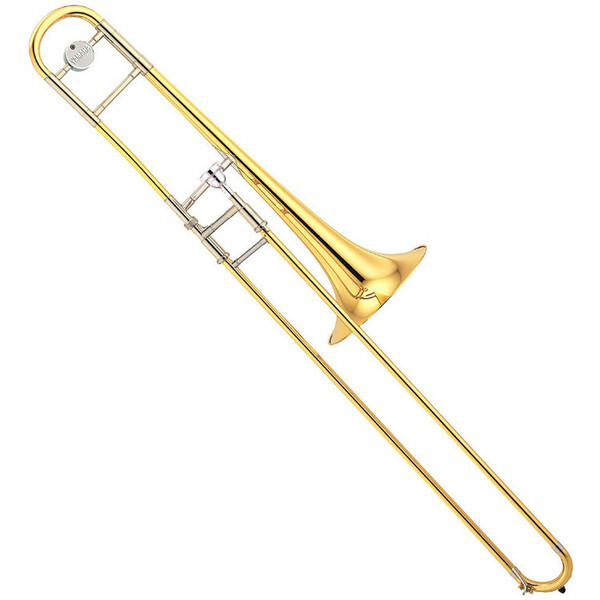 The Yamaha YSL610 Professional Tenor Trombone highlights a stunning gold lacquer finish. This model features a yellow brass bell capable of producing mysterious and dark tones with a symphonic sound suitable for orchestral playing. Intonation on the instrument is accurate and consistent in all registers and volumes, providing an instrument that any player can rely on. A smooth and quick responding slide makes faster playing effortless and the sound quality is consistent right through the ranges of the trombone. Included with this trombone is a hard case to store and transport the instrument, and a mouthpiece to enable instant performances. 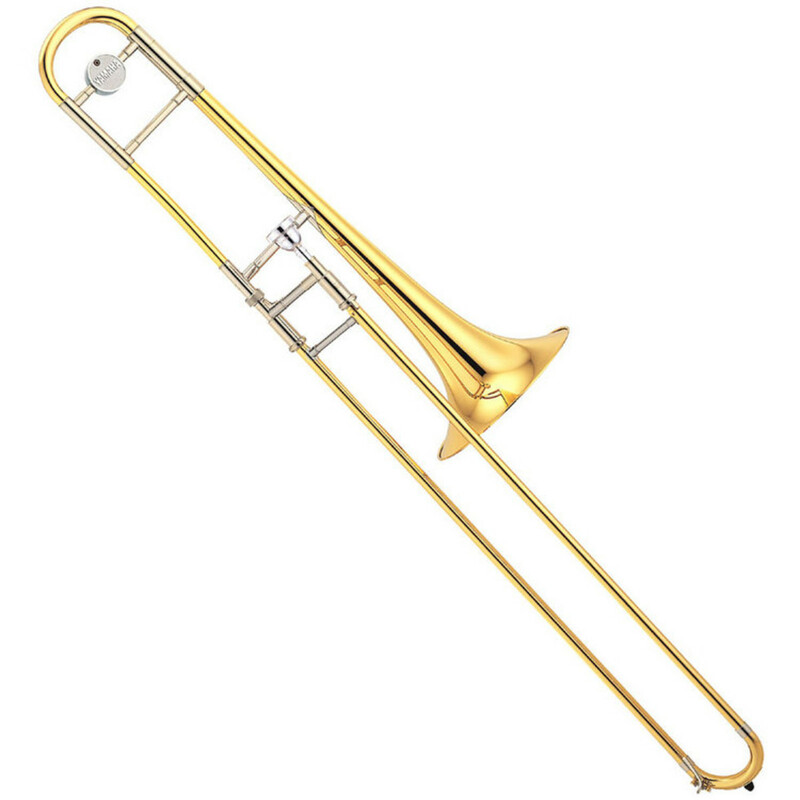 Although this trombone can be used in all situations due to its versatility, the Yamaha YSL610 produces a symphonic and whole sound that is extremely appropriate in orchestras and wind ensembles. This Bb instrument has a large bore size which gives a mellow and more mysterious tone. As well as this, having no F attachment makes it lighter in weight and easier to manage. The YSL610 is made up of reliable materials perfect for a learner who needs their equipment to last for many years. A good quality instrument is key to learning true skills from the very beginning. Yamaha has used chrome-plated nickel-silver, inner slides to maintain durability and provide players with a quick, sensitive response. The one-piece yellow brass outer slide provides an accurate diameter throughout its length. This type of construction allows airtightness, smooth action, exceptional durability, and improves response and resonance to the sound. This Yamaha model features a yellow brass bell that is capable of achieving dark and mysterious tones. The YSL610 Trombone comes with a lightweight hard case which is ideal for travelling musicians going to and from rehearsals and gigs. The case will protect the instrument from knocks and scratches - keeping it looking, feeling and sounding like new for longer. Also included in this pack is a Yamaha 48L large shank mouthpiece suitable for generic trombone playing. The mouthpiece is a Yamaha special acoustic design which allows for precise intonation and better blowing control. As well as this there is also a trombone cloth and cream. All of these items make a great start up kit for a beginner or an excellent package deal for a professional on a budget.